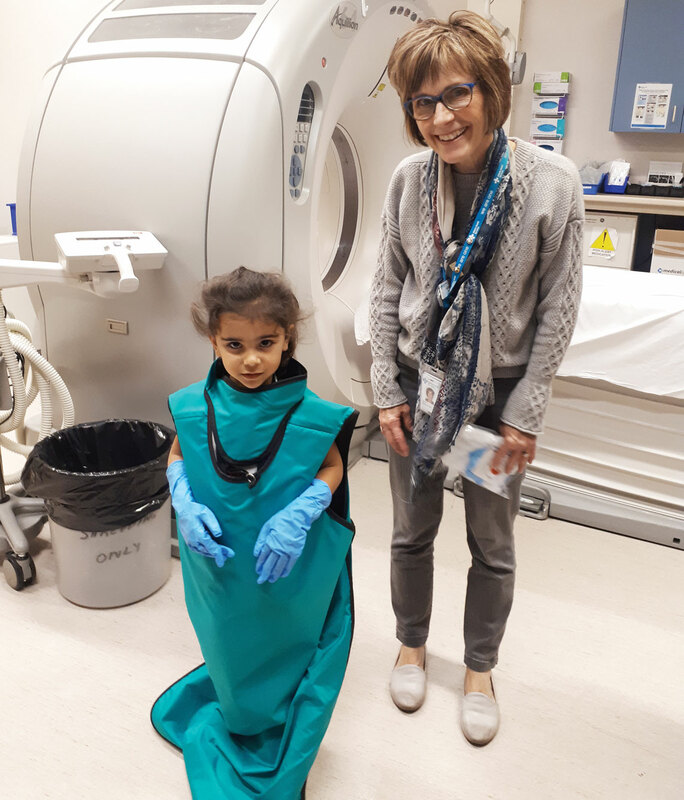 inding the right words to talk to kids about a family member’s cancer diagnosis and treatment can be difficult, but a group of dedicated nurses at the Cross Cancer Institute in Edmonton is trying to make it a little easier. Nurses Lisa Zawaski and Rachel Burroughs run the Learning Through Love Children’s Tour, a program for children ages six to 18 who have a family member receiving treatment at the Cross. The goal is to show the kids the facilities and to educate about different facets of cancer care, making the situation a little less scary. Zawaski got involved with Learning Through Love a year ago when her own husband, Trevor, was diagnosed with cancer for the third time, this one in his parotid (saliva) gland. Her kids, aged seven and nine, were getting older and had more questions than before, so she signed the family up for the program. This sense of understanding is exactly the result nurse Karen Saban (recently retired) hoped for when she started planning Learning Through Love in 2003. Around that time, Saban, and other in-patient nurses, had watched a young mother of three kids pass away unexpectedly from cancer. Saban was inspired. She set to work, volunteering her own time to line up supporters from multiple departments within the Cross, and then launching the first set of tours in 2005. Today, Learning Through Love runs at least three times per year, on Sunday afternoons, and relies largely on volunteers. Children and their parents or caregivers visit the chemo/medical daycare unit, talk about IVs and ports, see the medical lab and microscopes, and check out a linear accelerator unit, the X-ray department and the hair and wig salon. The tour wraps up with snacks and balloon creations from Glen The Balloon Guy, an Edmonton artist who has volunteered with the program since its early days. Kids get photos and a swag bag to take home, which the Alberta Cancer Foundation helps to fill with note pads, sunglasses and other small items. Saban gave her last tour in October 2018. She retired in January 2019, after a 40-year nursing career. She knows Learning Through Love will continue. “I feel I’m leaving this in good hands,” she says. To get more information about Learning Through Love, or to register, contact the Cross Cancer Institute’s Psychosocial and Spiritual Resources Department at 780-643-4303.